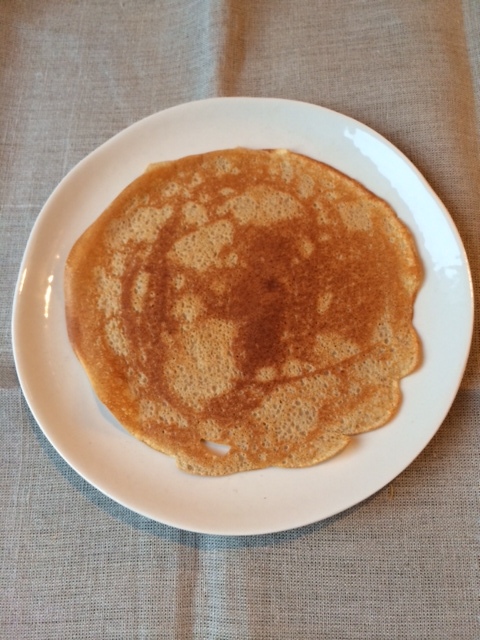 Pancakes come just after crêpes in our household when it comes to comfort food. 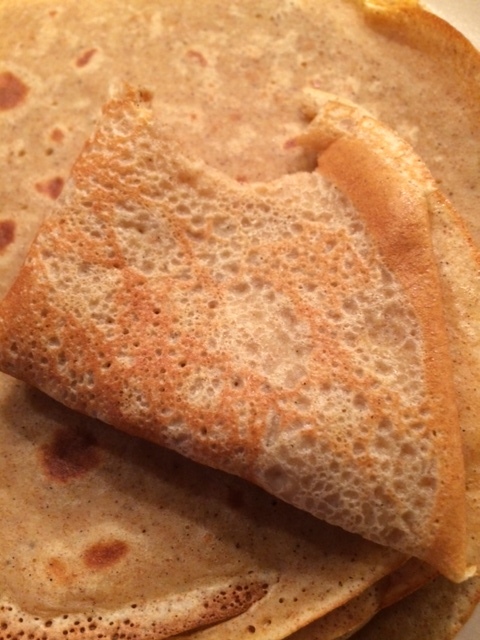 As I had the wheat free pancake recipe, I absolutely needed to come up with a wheat free crêpes recipe. I always had trouble making a decent crêpes batter. The taste was always too “floury” and I had hard time avoiding lumps. While researching for creating this recipe, I have learned the secret of lump free crêpes batter. You add the eggs to the flour and you DON’T mix!!! You start mixing only when you add the liquid and then you will have a brilliant smooth batter. This recipe is part of the “back to school series“, they will be great for breakfast, but also as a snack filled with some jam and eaten with a fruit. Sift the flour in a bowl. Add the eggs but don’t mix! In a jug mix the butter milk with the sparkling water. Add gradually the liquid mix the the eggs/flours mix and start whisking. Don’t stop whisking until you have added all the liquid mix. Finally add the sugar and the vanilla extract. Mix until all ingredients are well combined. The crêpes will be much better if you let the batter rest for about 30 minutes to an hour. Pour a ladle of batter into a pan heated on medium heat. Cook the crêpes until golden brown, then flip it over and make sure the other side gets also a beautiful colour. When I used to make crêpes, I was doing half of the quantity. Here I made the full quantity batter hoping that I would have extra crêpes for breakfast for a couple of days. When we were done, only three crêpes left!